Why Universities Pick FileCloud for File Sharing and Sync? The cloud has graduated from a trend to be analyzed, to a reality that must be embraced. Many organizations have begun implementing these new technologies to further reduce costs through reduced infrastructure costs, time, and administration and improved machine utilization. We have already seen how multiple sectors can benefit from adopting cloud-based enterprise solutions including financial services, the public sector, and charities among others. So are institutions of higher education ready to embrace the cloud? Is this a key vertical missing out on seeing cloud computing reduce IT infrastructure costs? The basic idea behind cloud computing is combining computing resources – be that applications, storage, servers or networks – in a shared pool. It is one of the new innovation topics in the field of IT that can benefit enterprises as well as organizations. Higher education undoubtedly plays a crucial role in the molding of the structure of our societies. Only competent higher education institutions can produce responsible individuals who will be instrumental in ensuring that the society grows as it should. The only way to guarantee that these venerable institutions of higher education are on par with the latest global and social trends is constantly updating their technologies to ensure that it is developing alongside the latest technological advances all over the globe. Cloud computing has completely altered the way institutions do business and serve customers. For higher education, it grants the ability to serve not just administrators and educators, but also students, who have their own technological devices, needs and expectations. By eliminating the usual IT constraints – like limited maintenance resources, costly infrastructure improvements, and incompatibilities between tools and systems, cloud computing frees up institutions of higher learning to shift their focus from maintaining IT infrastructure to addressing student and staff’s needs. Consumer grade services such as Google Apps, Google Mail or Dropbox are growing in acceptance despite being considered insecure, because they are cost saving alternatives. However, choosing a public cloud offering can create risk around security, interoperability, performance, and privacy. Universities should consider on-premise cloud deployment models to realize lower costs, scale on demand, and rapid platform deployment while minimizing risk. Like enterprises that are rapidly adopting cloud services, universities are in search of improved and more cost-effective ways of implementing IT services, without the frustrating cost of upgrades and maintenance. Like enterprises, universities want to realize the full potential of their data to make informed strategic decisions. And like enterprises, universities want to respond more quickly to new opportunities, without taking several months to implement business-critical software applications. Despite the similarities, institutions of higher learning have a unique mission and culture that affects how decisions regarding cloud computing are made. Student Centric. The focus of every higher learning institution is the students. In this digital age of mobile devices; students are likely to bring their own devices and expectations about when and how they wish to use them. The IT department is tasked with providing improved interoperability between student and campus platforms. In order to maintain high levels of communication and collaboration, students must have round-the-clock access to secure, reliable networks; and the ability to create, deliver, and share content campus-wide on any number of devices. Complex finance models. Most universities have precarious and complex financial models, composed of varying combinations of research grants, public funding, investments, philanthropy and tuition. Participatory decision-making model. 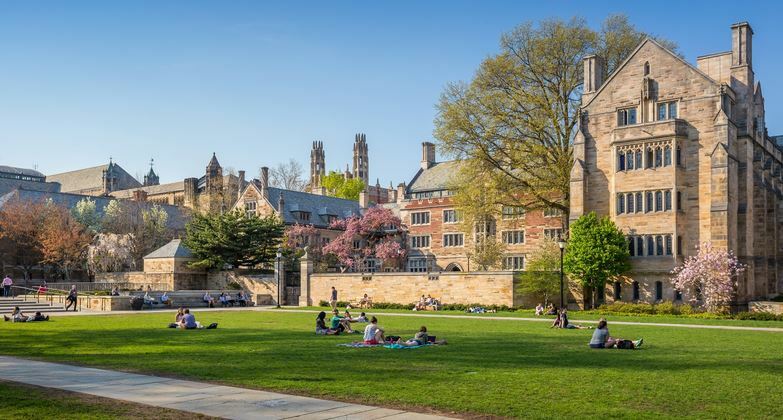 Another important piece of the puzzle is the governance of higher education, modeled on a participatory culture the typically precludes –or at least complicates—top-down decision making. Reaching a consensus takes time, especially when stake holders are dealing with decisions about where to allocate limited resources. In such an environment, the need to completely understand the advantages that cloud-based services models can provide becomes apparent. Developing a cloud strategy for strategy requires drawing certain principles from the business community. However, creating a durable and effective digital strategy also requires creating a framework built around the needs of your unique stake holders – from faculty to students, alumni to board members; engaging every stakeholder early in the process; and creating a strategy that addresses IT challenges that are specific to higher education and your campus. Private clouds are built for the exclusive use of one organization, offering the utmost control over quality of service, security and data. The director of IT services at the University of South Carolina was in search of a file sharing solution with the following requirements. After trying FileCloud for 15 days, they decided it was the best solution for the university. Read the full case study here. In this digital age of consumer technologies, social applications and smartphones, expectations from all constituents—staff, faculty, and students—have never been higher. The need for quick informed 24/7 service has become apparent. Students are bringing multiple devices to campus; and in such an environment, quick access to content and collaboration tools that augment research, teaching and learning is of great importance. FileCloud enables all constituents to remotely access data from anywhere using any mobile device. The real-time sync across network folder allows for remote access. With comprehensive features for WebDAV, Mobile Apps, Virtual Drive, Desktop Sync and Web access, end users are bound to have a seamless experience regardless of the device they are using. FileCloud clients are available for iOS, Android, Blackberry, and Windows. Additionally, remote files can be opened and edited via third party applications on your device. Stored files can also be shared via link or email attachment. FileCloud enables even smaller institutions with limited resources and leanly-staffed IT departments to leverage the resources of the cloud; providing more security for critical systems and more robust disaster recovery and business continuity. With features like automated server backup, high availability and multi-tenant setups, FileCloud can easily be scaled to large deployments. Transitioning to FileCloud gives IT staff a framework for security programs, disaster recovery and core business continuity. FileCloud offers simple pricing options. Adopting a cloud strategy does not automatically mean dramatically reduced IT costs; however with proper management costs can be contained over time. With unlimited client accounts for external contractors and vendors you will only have to pay for employee accounts. Click here to find out why FileCloud is the leading private file access, sync and sharing solution for institutions of higher learning. The question of whether or not institutions of higher learning should adopt the cloud has already been answered – by students, staff and faculty, who have already started using cloud services in one form or the other. IT teams in higher education should stop asking if but when and how they can start the transition. The successful adoption of cloud services hinges on finding a partner who understands higher education and the sea of benefits it can deliver. Learn more about FileCloud, a leading enterprise file sharing and file sync software.